Losing your dog has to be one of the worst feelings ever. Even the most careful and loving pet owner amongst us can be forgiven for not knowing where their pup is every second of every day. So, what can we do to ensure our pups are safe? One options is to invest in a dog tracker GPS system. Looking for your dog and not knowing whether he is safe or not – it is something you never want to experience ever again and thankfully technology has now given us the possibility to track our dogs so we know where they are at all times. Dog tracking technology systems are now so advanced that there are even dog trackers that come equipped with a GPS system. The dog tracker GPS systems ensure that you can track your dog is at all times. Regardless of whether they ran away or they are simply lost, you can find them in a jiffy. The technology is simple and easy to use. Once you buy the tracker for your dog, the GPS system is downloaded on to your smartphone in form of an app, and you will be able to track all of the movements your dog makes even when you are at work. Some even come with an alarm to keep the dog indoors within a specified perimeter, and if he crosses the allocated space, the alarm goes off immediately to alert you. 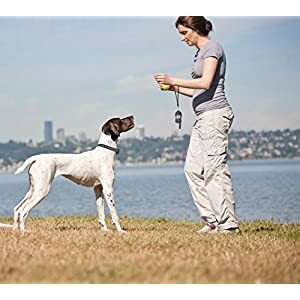 This is a simple and unobtrusive dog GPS tracker which has partnered with T-Mobile in order to provide the largest cellular network that covers the entire country. It offers live pet tracking and real-time notifications which are sent to your mobile phone in form of text messages free of charge. You, however, need a subscription plan that start at around every month. Their live tracking will pinpoint the exact location of your furry friend, and this can also be shared with family and friends in order to find him as quick as possible. With this tracker, you can define the virtual fence, or safe area, within which your pet is allowed to hang around. If he ventures away from the “safe zone” an instant notification is left on your phone. Tracking your dog has certainly never been easier. It also comes with a pet collar attachment that can cover over 150 countries with the T-Mobile network. You can access this information on the mobile phone app, or using any browser available to you. There is no range limit, plus you can also be able to track any other Bluetooth collars you may be using. Simple and unobtrusive to your dog. Comes with a virtual fence to specify the allowed areas. The charge lasts at least 5 days. Has a plastic backing on the collar that can catch on something easy, which is dangerous so, be on the lookout. Do not be fooled by the image on the cover. This tracker works not only on cats but also for dogs. This covers a long range of up to 1,600 feet. It works on the outdoors and will find your pet no matter where they are hiding, even in the garage, neighbor’s house, the cellar, under the tables, etc. There are no monthly fees, and gives you a clear line of sight. The battery on this pet GPS tracker lasts up to 30 days on a full charge, and the package includes rechargeable batteries plus, chargers. It is lightweight and weighs 28 oz with the battery. You can also be able to track up to 4 pets at once, and in addition to the batteries, you shall get a Velcro strap, a hook, a silicone sleeve, and a user manual. It covers a wide area of up to 1,600 feet. The battery lasts up to 30 days. The Pawfit Pet GPS tracker and locator is one of the best in the market for both cats and dogs. It monitors your pet’s activities both indoors and outdoors, and this will include the active hours, the resting hours, distance covered and even calories burned. This is based on your pet breed, his weight, age and the steps he has taken per day. This information is recorded for the last 7 days. Tracking your dog’s activity plus rest periods helps in monitoring their shape and weight, and also keeps them healthy. If you are worried about your dog’s weight, then this would be a good way of ensuring they lose weight and live a long healthy life. 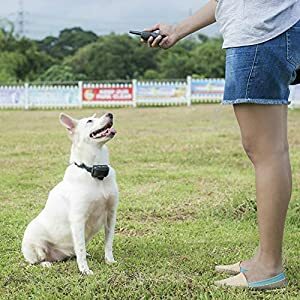 An additional feature you will absolutely love in this tracker is the latest text-to-speech technology that allows you to record a private message for your precious pet, and when a button is pressed, this message is broadcast to the pet’s GPS ID. In case your pet is lost, you can simply type the message, and anyone near your pet can hear it and return it back to you. The alert system works in case the collar is removed, or the temperature around your pet changes, or in case he crosses the safety zones. The App is compatible with iOS 9.0 or Android 5.0 and any other later versions. You can be able to see and locate your pet from the comfort of wherever you are using your smartphone. The system allows the monitoring of up to 4 pets, including setting up of up to 10 safety zones on your phone. The tracker is designed to be waterproof and dustproof. It has a hardened ABS shell that makes it anti-bite and anti-drop. The 700 mAh lasts between 7-10 days and has a standby period of 4-6 days during regular use. The battery recharges fully in 2.5 hours, and the tracker can easily be mounted on your pet’s collar or harness. It is suitable for pets weighing over 8.37 lbs. Comes with a unique text-to-speech feature. It has an alert system for when your pet goes beyond the set parameters. Monitors up to 4 pets at once. Can monitor up to 10 safety zones. It is anti-bite and anti-drop. Not compatible with some mobile phones. Whistle 3 is a all-in-one GPS location and activity tracker for dogs and cats—Smarter pet care is here. Can be configured to send text, app and email notifications as soon as your pet leaves the specified area. You can also backtrack your dogs activity over the previous 24 hours an track not just where they have been but how much exercise they are getting day by day. Battery life is good – up to 7 days dependant on wifi and cell coverage – a full charge of the collar takes only 2 hours. Support Line – Call 855-907-3348. Real-time location tracking with GPS. A little costlier compared to the rest. This GPS tracker is suitable for large cats or medium to large sized dogs. It allows GPS tracking using a Wi-Fi system located on your phone, and it offers real-time alerts even when you are underground or going through a tunnel. Each transmission will give you the exact location of your pet using Google Maps, within 2 seconds. You shall then be able to track your precious pet wherever he may be. Shows you on Google maps where your dog is. Ideal for both dogs and cats. The collar opens at times, so be on the lookout. When it comes to cost, we are not only talking about the cost of buying the GPS tracker, you must also consider the monthly charges for whichever service provider you shall be using. You will also need a reliable 24 hours Wi-Fi system to keep track of your precious pet. The good news is, some of the most popular service providers such as T-Mobile and Vodafone are used by most of these trackers so you may be covered, but when doing your budget, look at the cost of buying the tracker and monitoring using your Wi-Fi, then make the most affordable decision. Dogs love venturing in both safe and unsafe places, you may find trees, grass, rocks, etc., depending on where he is exploring. The best tracker should be one that shall stay on, regardless of where your dog is. It must never come off. The tracker may be secured using a thick rubber band or a twist and lock system. You can ensure the right size of the tracker by measuring accurately the size of your pet’s neck. Do not buy a tracker that comes off easily or one that the dog can easily chew and take off. A safe zone or a geo zone is an area that your pet is allowed to spend time in while unsupervised. A good GPS tracker should have this feature and an alert system that is able to tell you when this has been compromised, or when your pet goes beyond this safe zone. You should get an immediate notification. You should open the map on the app and be able to identify exactly where your pet is. Have a live-tracking mode on the app to show you at any point in time where your pet is. This should be done quickly and accurately in order to ensure the safety of your pet dog. A good GPS tracker should have a long battery life. This means that after charging, you can leave the tracker on the dog for a number of days or even hours. This helps in ensuring that the tracker does not go off and lead to the loss of your pet. Some GPS trackers come with added features such as; weight monitoring, steps monitoring, activity monitoring, the amount of exercise your dog has had in a day, etc. These additional features are extremely important as they help you monitor your dog’s lifestyle, and can let you know when there are problems. It is also a great feature for anyone looking to help their pet lose weight. Only a dog owner understands the kind of roller coaster of emotions that takes place when your dog goes missing. It’s no joke. This is why a good dog tracker with GPS system comes in handy, for anyone that is serious about their dog’s safety.